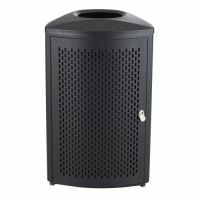 View Item Shutter Can Black - 14 Gal. 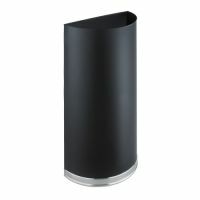 Our Trash Receptacles enhance the sanitation and appearance of any indoor or outdoor space. 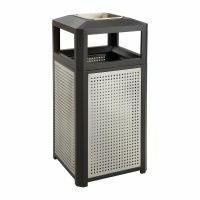 There are heavy gauge and puncture resistant Steel Trash Bins, high-density Polyethylene Trash Cans , and Wooden Trash Bins for restaurants and public areas. Plastic Trash Cans with foot pedals work great indoors. 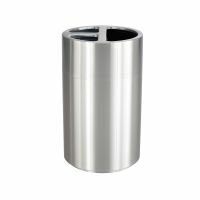 Trash cans for outdoors come Aggregated with stones to draw attention to where trash should be put! 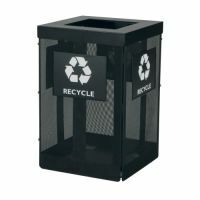 Mesh Trash Cans and other Waste Baskets for the office sit right beside your desk and only add to the d�cor! For fire protection, Dual Waste and Urn Trash Cans stamp out cigarettes and collect trash. 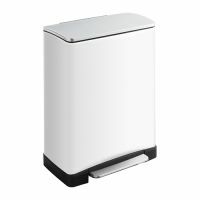 Oily waste and Fireproof Trash Cans are perfect for a Science Lab or industrial lab where you have Flammable Liquids stored. Be extra prepared with a place to put chemical waste! 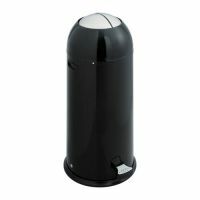 Restaurants and janitor duties may prefer more heavy duty Industrial Trash Cans for cleaning. 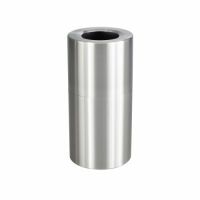 Place Disposable Bags into your trash cans and improve the look of every indoor or outdoor space. 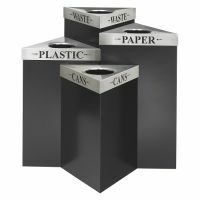 This collection of trash receptacles includes swing top trash cans, pedal trash cans, and top load trash bins. Pick the color and design that works for you and turn any space into a Green and pristine environment that people can appreciate!